Commenting on the agreement, the Minister of Economy of Azerbaijan Shahin Mustafayev noted that, «this agreement will provide access to the occupied territories of Azerbaijan and will enable to carry out economic activity on them”. We asked Mehmet Fatih Oztarsu, the vice-president of the Turkish Strategic Outlook analytical center, to comment on this agreement. -What do you think, how the agreement will provide access to the occupied territories? -Taking into account the strategic importance of the area where the energy complex will be constructed, the agreement is extremely significant. And the statement of the Minister indicates this fact as well. Azerbaijan’s use of Khudaferin reservoir, located between the occupied Jabrail region of Azerbaijan and the Homerli region of Iran is very important for the country, both for electricity generation and water management. This opportunity will allow Azerbaijan to maintain its advantage in the region. Azerbaijan can exercise its given international right and, in the long run, weaken the occupier – Armenia. 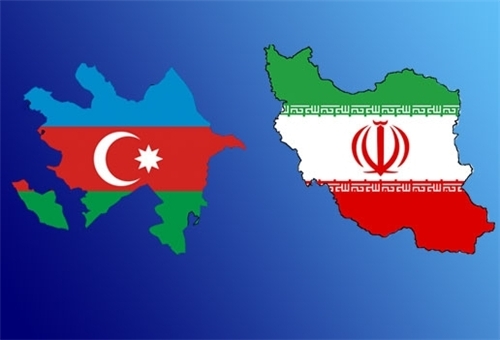 And such projects will contribute to the fact that Azerbaijan will be able to get closer to an important region — the territory between Azerbaijan and Iran, which serves as a transition zone, and it is also in the sight of Azerbaijan. In this regard, support from Iran is very important. -The Minister noted that the political dividends that Azerbaijan will receive from this agreement are very large. Which political dividends, in particular, Azerbaijan will receive? — As for political dividends, they may be in the form of new arguments about the inconclusive negotiations on Nagorno-Karabakh. For example, official Baku may declare that it is investing in the region (the area that lies between Iran and the occupied Nagorno-Karabakh region), and it can benefit the residents of this region. In addition, due to the projects, implemented by Azerbaijan on their own land, it helps its development and thus the political power of Azerbaijan will strengthen, and management of energy resources in the region will come completely under the jurisdiction of Azerbaijan, everything will be given under the initiative of Baku. And the support of Tehran as a regional player, which acts together with Baku, is very important in this matter. — After Ilham Aliyev’s visit to Iran, Putin held telephone talks with Aliyev. What do you think was discussed during the conversation between the two leaders? There are two reasons. One is a military loan for the sum of 200 million dollars, provided by Russia to Armenia. And the second one is related to the developing relations between Azerbaijan and Iran. The fact that Russia has allocated loan to Armenia, its strategic partner, for the purchase of military equipment and weapons, is a private matter of Moscow. And in terms of strategic relationships, we cannot argue against it. But, taking into account the atmosphere of mistrust prevailing in the Caucasus, and the explosive situation, which is heating up in nearby regions, it is quite normal that Azerbaijan can perceive a military loan as a threat. I think that the official Moscow provided Baku with a detailed explanation on the issue. And the improvement of relations between Azerbaijan and Iran could lead to the loss of Russia’s influence in the region and leave it without trump cards. For example: with the signing of an agreement between Tehran and Baku, Russia may lose the role of the only mediator in the settlement of the Nagorno-Karabakh conflict. I should also note that Russia closely monitors the steps of Iran, which is trying to build a new railway track to the north through Armenia and Azerbaijan. Russia itself is not averse to take advantage of this opportunity.